Mr. DiPofi is a member of the National Society of Engineers and has been a registered Professional Engineer in Ohio and Michigan since 1990. 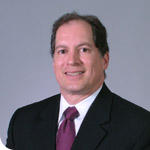 He received his Bachelor of Science from The University of Toledo in Mechanical Engineering in 1985. He was named Young Engineer of the Year in 1991 by the Toledo Society of Professional Engineers and has been in the A/E consulting industry since 1981 serving previously as engineer, project manager, and business manager. His clients, among others, include Go Ethanol, Freedom Fuels, ConAgra Foods, and Procter & Gamble. Mr. DiPofi has led SSOE’s entry into the emerging biofuels market. SSOE currently has numerous ethanol and biodiesel projects underway in 4 states. In addition, SSOE was recently awarded a patent for an innovative new process that reduces the energy and cost of producing biodiesel. He and his team is also working with The University of Toledo, and several area groups to lead the way in making Toledo a nationwide center for biofuels production and distribution. The lunch and program will be held at the Toledo Club beginning at 11:45. If you would like to attend, please RSVP to Lisa Aller, TST Executive Secretary 419-530-3436 or tst@eng.utoledo.edu.